“Let us make a man” is for giving him a soul that will be from the world of Beriah (Creation), “in our image” is the tree of Life. Image is “צלם” and has the same numerical value of 160, same as עץ, ‘Tree’. We are man from the ‘Image’ צלם (pronounced ‘Tzelem’) that is an energy field that connects his physical appearance to his spiritual entity that providse continuous feed of life from the Tree of Life. When the Tzelem disappears, man has only 30 days left to live. There is a story (Zohar portion of Vayechi) that Rabbi Yitzhak, one of rabbi Shimon’s students, came to him without his Tzelem and rabbi Shimon connected him to his own energy and forced the angel of death to leave him alone. 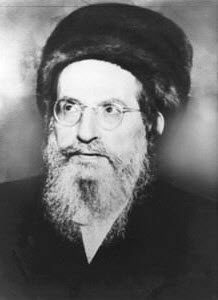 Rabbi Yitzchak passed away on the same day with Rabbi Shimon. Rabbi Shimon was connected to the Tree of Life in a way that he could control life and get rid of the angel of death for all of us but he wasn’t given the permission from God. The Zohar is our connection to the Tree of Life and the power that strengthens our Tzelem. This paragraph from Zohar Naso (Paragraph 89,90 דף קכד ב) tells us that the people who are connected to the Zohar will not go through the hardship of the days before Mashiach. The Zohar comes from the light of Binah and gives us the ‘taste’ of the Tree of Life. This is what will take us out of exile (to the Final Redemption) with mercy.